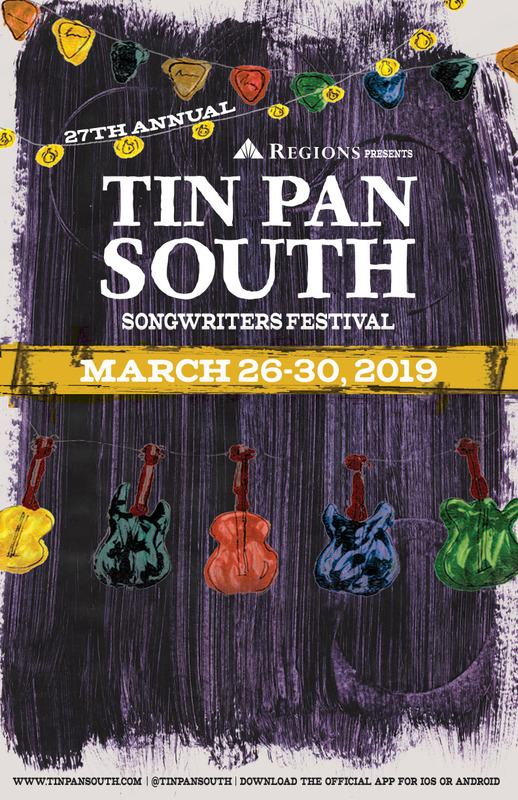 The 27th Annual Tin Pan South Songwriters Festival, slated for March 26-30, has added three new venues to its list of clubs hosting shows: Analog at Hutton Hotel, the Lounge at City Winery and TRUE Music Room & Bar. Regions Bank returns for the 12th year as the presenting sponsor of the event. Songwriter rounds will also be held at staple venues including The Bluebird Cafe, The Local, Douglas Corner Cafe, Hard Rock Cafe, The Listening Room Cafe, Station Inn and 3rd & Lindsley throughout the five-day event. Hundreds of songwriters from every genre of music will perform songs as they were originally written during the festival, with close to 100 shows scheduled throughout the week. The popular week-long Fast Access passes, which eliminate the cover charge at the door and allow patrons advance entrance (space permitting), are scheduled to go on sale at 10 a.m. CT on Feb. 26 at tinpansouth.com. Quantities are limited, and last year’s passes sold out in record time.